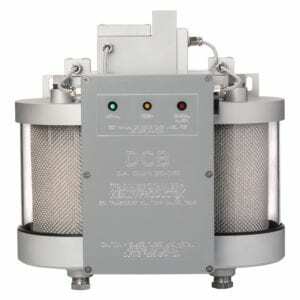 Dual Column Breather (DCB) | SPX Transformer Solutions, Inc. 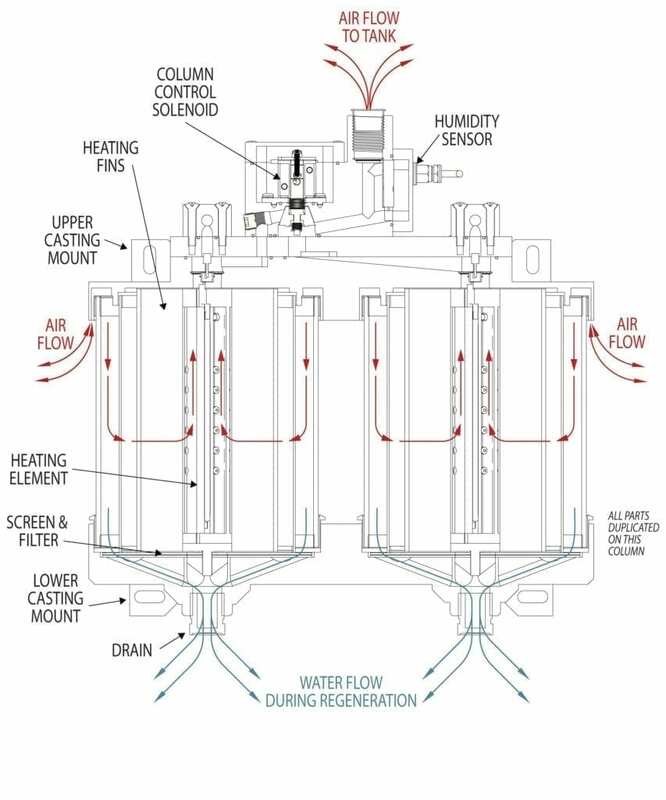 In response to customer feedback, we are introducing the latest evolution in breather technology and the newest addition to our Transformer Health Products® line as a replacement for the auto-recharging dehydrating breather: the Dual Column Breather (DCB). With its dual column design, the DCB is the first breather that does not need to isolate itself from the transformer or LTC during its regeneration cycle. When one side needs to regenerate, the other side takes over, using a recharged column of silica to provide dry air to the transformer or LTC. This design also allows you to specify the Dual Column Breather for multiple applications, from the smallest LTCs to the largest transformers — a single specification for your entire system! During regeneration, a heating element located inside the breather assembly heats the partially saturated silica gel, driving moisture out. This moisture condenses on the borosilicate glass, forming free water, which then flows down the glass and out the bottom vent. All of our breathers ship with an environmentally-friendly and enhanced performance clear silica gel. For breather specifications, LED indicator colors and meanings as well as part number configurations for our DCBs, please contact us or download our Dual Column Breather brochure.